The New American Commentary (NAC) Volume 25B: John 12-21. 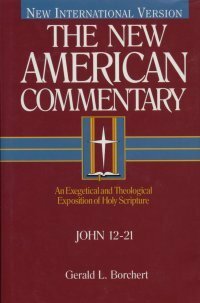 The New American Commentary collects the best in contemporary evangelical scholarship in a series that examines the entire Bible in depth. The New American Commentary Series – New Testament currently offers 11 volumes of commentary on the New Testament.